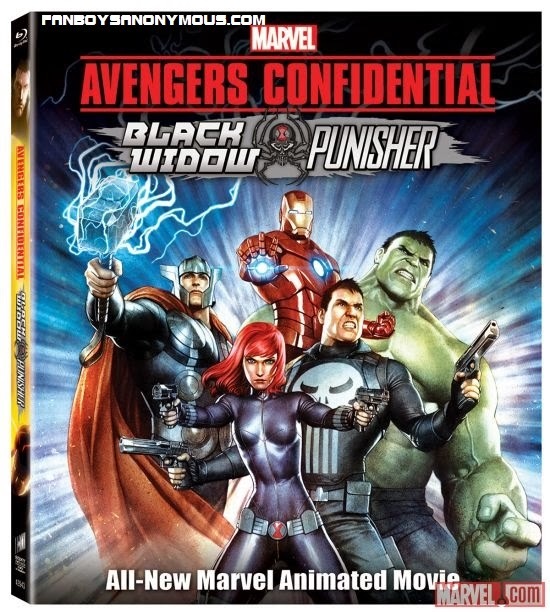 This March, Marvel's return to animated format explodes onto the small screen with the exciting new Marvel Avengers Confidential: Black Widow & Punisher! "Ha! 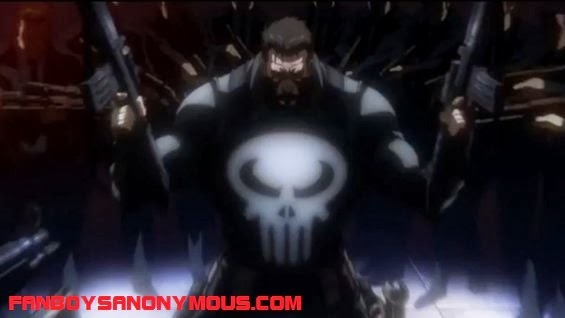 Your Tango is no match for my Waltz..."
After helping Tony Stark in Iron Man: Rise of Technovore (then voiced by Norman Reedus), untypically generous for ol' Frank, Punisher is now united with Black Widow and the Avengers under S.H.I.E.L.D and Nick Fury's command. As you can see, he's looking massively badass in comparison with his first appearance in the latest crop of Marvel animated movies. "Espionage & Punishment: the novel Dostoyevsky wishes he wrote." 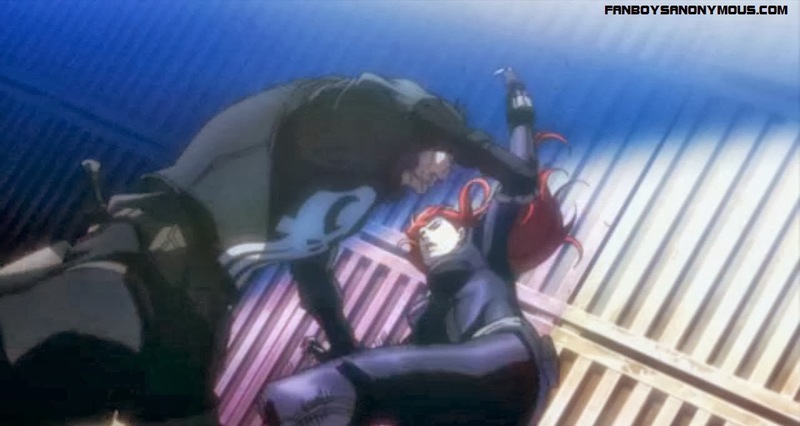 When Punisher (Brian Bloom, Once Upon A Time In America) is arrested by S.H.I.E.L.D agent Black Widow (Jennifer Carpenter of Dexter) for interfering with a mission, Nick Fury employs him to work with Natasha in preventing global terrorist organization Leviathan from selling S.H.I.E.L.D technology and weaponry on the black market. "Dammit Hulk! Remove your fist from my..."
Avengers Confidential is directed by Kenichi Shimizu (key animator on the aforementioned Iron Man movie) and written for the screen by Mitsutaka Hiroa (X-Men series). It will be released on DVD and Blu-Ray this March 25th. Sound off, Fanboys! Will you be picking this movie up? I sure as hell will, so maybe stay posted, and I'll knock out a review in a few months' time if you're not sold on it just yet. Thanks for reading, and feel free to comment below!